Revamped to better support efficient weight gain. 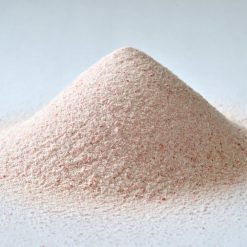 The unique formula of Chase Protein Powder is a revolutionary outcome of many years of research to find how to support and enhance lean muscle. It has been designed to be delivered in an ideal proportion of essential nutrients necessary for muscle growth. This breakthrough formula uses high quality protein to support muscle and a carbohydrate blend to maintain energy, such as a blend of prebiotics and probiotics to support digestive health. It supplies all of the essential nutrients for athletes. Unlike weight gain supplements which only increase the total calorie count, Chase Protein Powder delivers an efficient amount of calories. 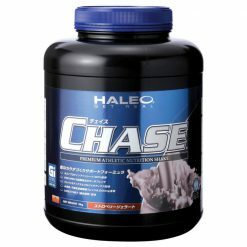 Chase Protein Powder can be used as a MRP (meal replacement powder), as well as to boost muscle mass. Add two scoops (about 80g) of Chase into one cup of the HALEO Cyclone Shaker and pour in water or the beverage of your choice to the level of 250mL. You can adjust the amount of water based on your preference. Shake it for 15 seconds. We recommend that you take it 2-3 times a day to meet daily nutritional needs. Seal tightly once opened and aim to use within two months. Keep refrigerated once opened.